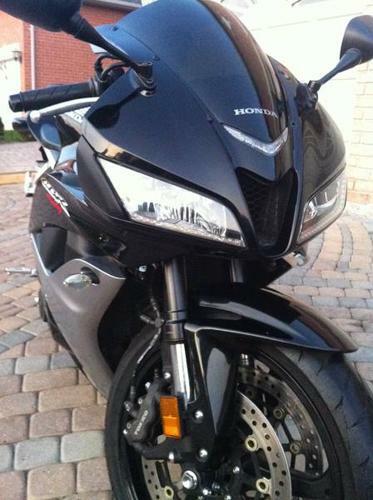 I am selling my ALL BLACK CBR 600 rr with low kilometers. I'm the second owner, and bought from original owner, it was barely ridden, cause i bought it for my girlfriend and we broke up. Bike looks and runs brand new. Bring cash and it's yours. If you have any questions or would like to take a look at the bike feel free to call or text me at 647 779 my name is Bello. CASH DEALS ONLY, first serious buyer takes it!